Art of Multimedia were thrilled to be engaged by the Sydney Opera House to create a heritage interpretation film – ‘Sydney Opera House: Revealing archaeology’ – which tells the story of intriguing archaeological remnants unearthed as construction work on a new loading dock for the iconic building was carried out. Techniques such as 3D camera projection allowed us to create virtual camera moves through 2D scenes. Subtle animations and compositing breathed dimension and life into static archival photography. Bennelong Point’s past was revealed as seawall remnants, a sewerage outlet, wharf steps and limestone pits were discovered. 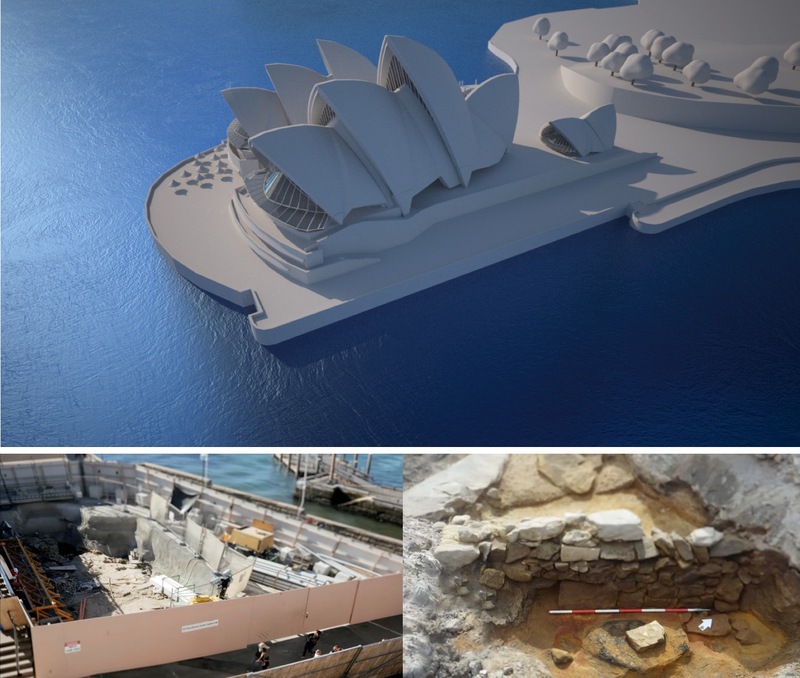 ‘Sydney Opera House: Revealing archaeology’ was published on the Sydney Opera House website and is also located on site at the Sydney Opera House. The video was recently recognised at the National Trust Heritage Awards in the Education and Interpretation category. Some creative and complex technical effects were used. “This is not your average interpretation video,” said Beata Kade, Managing Director of Art of Multimedia. “AOM were thrilled to be involved in such a fascinating project, and we’ve used some really creative effects to help the viewer step into and make a connection with the stories which recreate the history of Bennelong Point. “Techniques such as 3D camera projection allowed us to create virtual camera moves through 2D scenes. Subtle animations and compositing breathed dimension and life into static photography. “Like so many interpretation projects, it was a collaborative effort. Art of Multimedia’s in-house team enjoyed the creative challenge of seeing a film such as this produced to a high standard. In this case, this team was extended through external collaborations; the script was written by 3D Projects, and the narrative and the visual assets were all based on information thoroughly researched by the archeologists GML Heritage Consultants. This included historical records, paintings, photographs, a newspaper article from 1889 and the recently uncovered evidence which was scanned and documented. The creative techniques help to tell the story of Bennelong Point’s significance in the history of colonial Sydney which began with the creation of crude lime pits dating from the early 1800s, where shells from Aboriginal shell middens were used to make limeslate – an important construction element in the early buildings of the city. Other archaeological finds uncovered include a sandstone wall footing most likely to be a part of the previous Fort Macquarie, and building walls and steps from the tram and ferry interchange that were demolished to make way for construction of the Sydney Opera House in the 1950s. AOM created a 3D flyover of the excavation site from the 3D scan data supplied by archeologists, to provide audiences with otherwise inaccessible insight into these captivating discoveries. “Interpretation projects are becoming more popular and also more sophisticated,” Beata said. “We have the ability to bring static imagery to life to create truly engaging and interesting stories that support the available historical evidence.